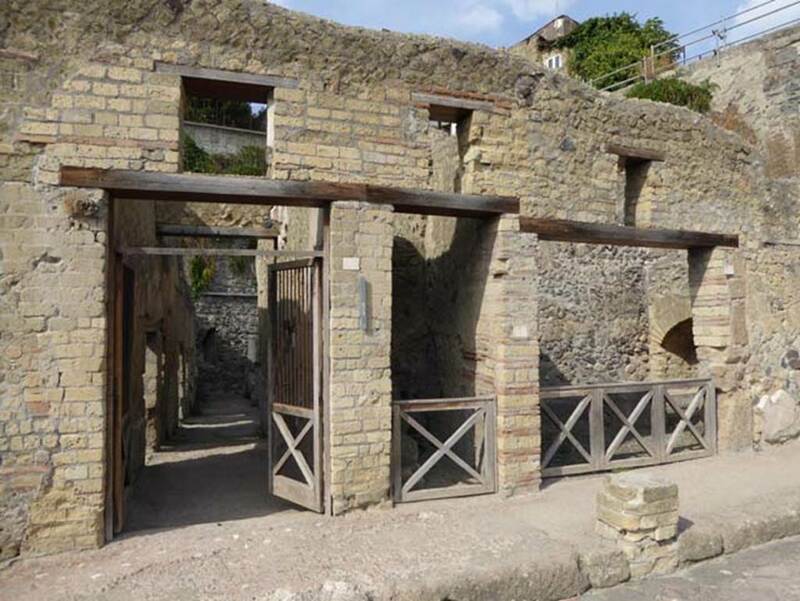 Herculaneum VII.3. Steps to upper floor. 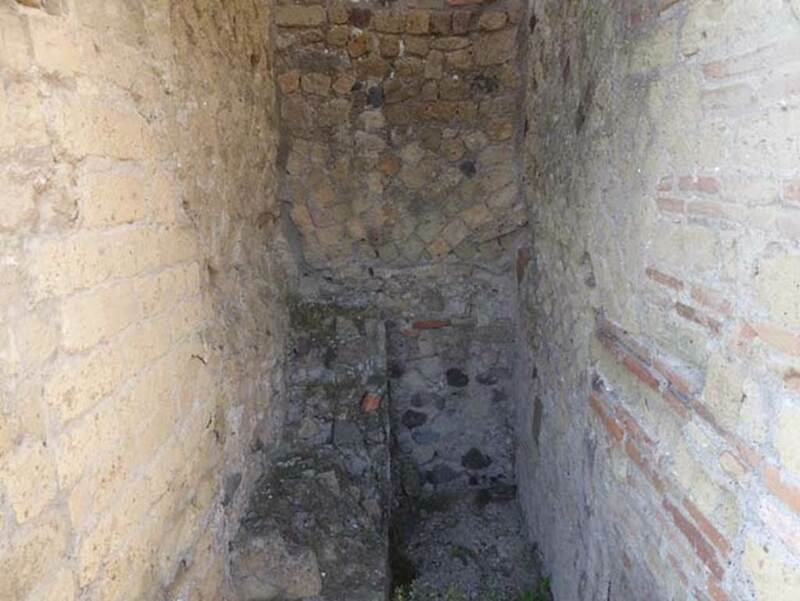 (There does not seem to be any evidence now of a balcony there, whereas the entrance at VII.3 (steps to upper floor) and VII.5 is described as “steps to upper floor above House of Galba, and may have had a balcony? Similarly, next to the House of Galba could also apply to VII.17 and 18). 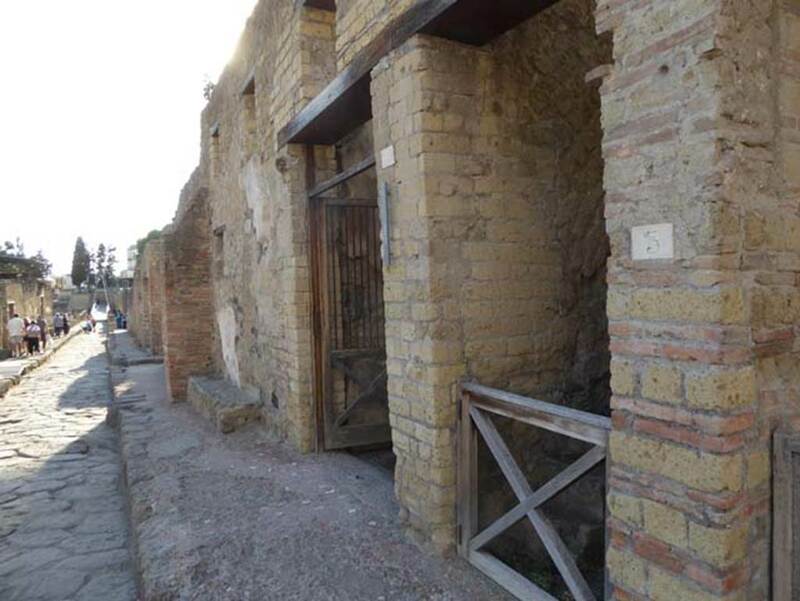 VII.3, entrance doorway on right, Herculaneum, September 2015. 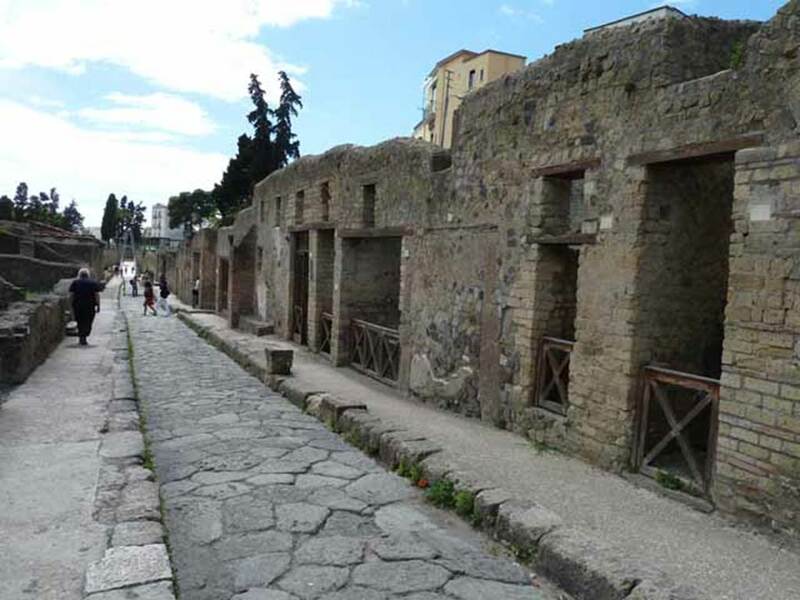 Looking south along Cardo III. The entrance to VII.2, House of Galba, is in the centre. Photo courtesy of Michael Binns. VII.3, Herculaneum, September 2015. Looking west through entrance doorway to area behind steps to upper floor.